Sign in with your work or school account to http://portal.office.com/OLS/MySoftware.aspx. 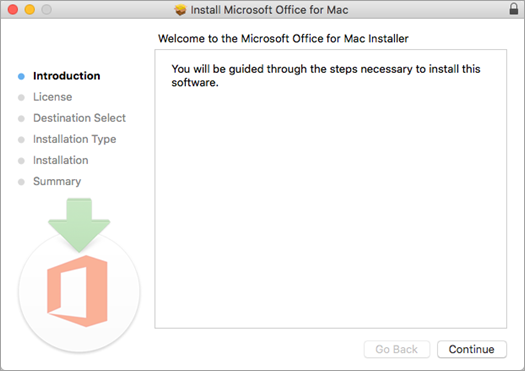 On the Office page page, under Install Office 2016 for Mac, select Install to begin downloading the installer package. TIP: If you see an error that the Microsoft_Office_2016_Installer.pkg can't be opened because it is from an unidentified developer, wait 10 seconds and then try double-clicking the installer package again. If you are stuck at the Verifying…. progress bar, close or cancel the progress bar and try again. The software begins to install. Click Close when the installation is finished. 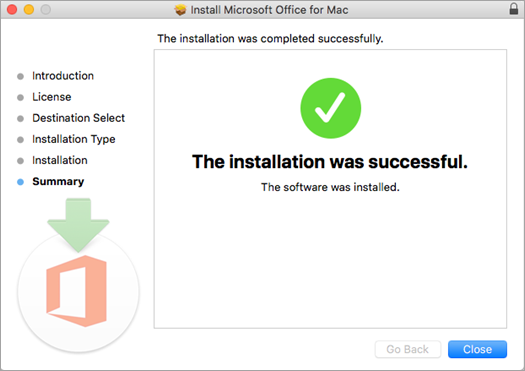 If Office installation fails, see What to try if you can't install or activate Office 2016 for Mac using Office 365 for business. Click the Launchpad icon in the Dock to display all your apps. 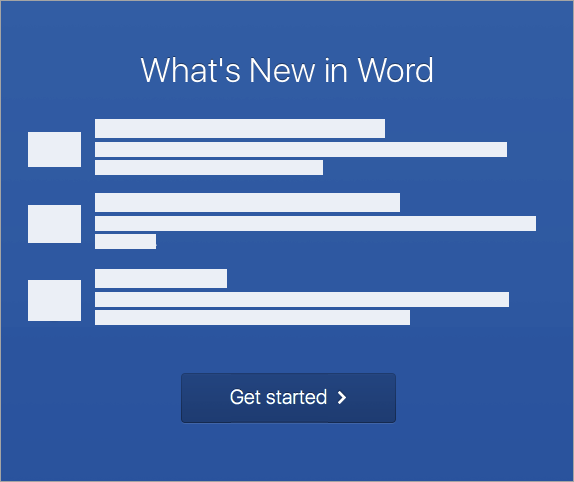 The What's New window opens automatically when you launch Word. Click Get Started to start activating. 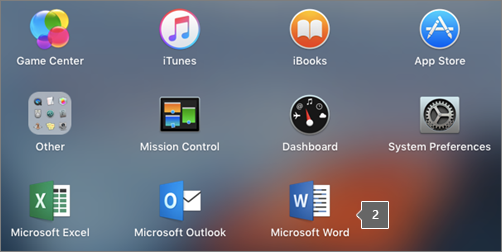 If you need help activating Office, see Activate Office 2016 for Mac If Office activation fails, see What to try if you can't install or activate Office 2016 for Mac using Office 365 for business. You may need to check in with your organization's technical support team before installing apps. If you're not sure you have a license to install Office 2016 for Mac, see What Office 365 business product or license do I have? 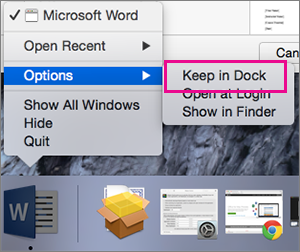 Yes, you can install and use Office 2016 for Mac and Office for Mac 2011 at the same time. 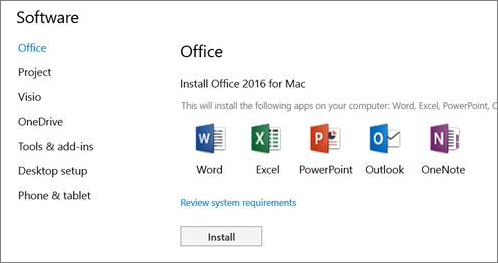 However, we recommend that you uninstall Office for Mac 2011 before you install the new version just to prevent any confusion. 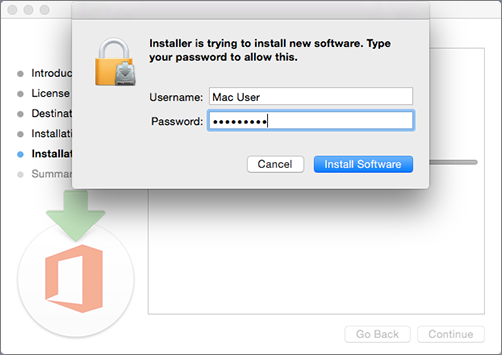 To uninstall Office for Mac 2011, follow the steps in Uninstall Office 2011 for Mac.